With literally hundreds of facial creams on the market today, you may feel overwhelmed by all of the potential choices available. What you need to know before choosing a face cream, is there’s more to a face cream than meets the eye. You may have come across many creams that feel rich and creamy or smell great, but a good moisturizer is all about the ingredients, and at what stage in your regimen you apply it! The best face moisturizers will always contain an SPF protection. Moisturizers that have SPF protection will protect your skin from UVA and UVB rays from the sun. These rays cause a number of different skin problems such as the development of dark spots, hyperpigmentation, the development of wrinkles and lastly - skincancer. The best moisturizer will offer your skin hydration and protection from the sun, which means you never have to worry about forgetting your sunscreen once you start applying your new moisturizer daily. For better results, you may wish to consider hydrating your skin overnight, when the body is going through its natural rejuvenation process. In this case, the best moisturizer for your skin care regimen is a moisturizer that contains a variety of different ingredients that will work to soften and protect your skin while you sleep. 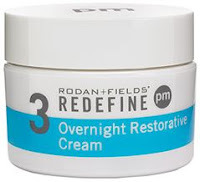 Rodan + Fields Restorative Overnight Cream is an ultra-hydrating cream which replenishes your skin's natural moisturizing factors while you sleep. 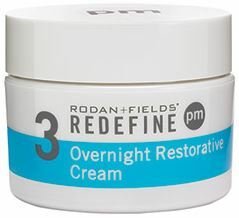 This results in a visibly firmer, less-lined skin in the morning. Moisture recycling complex of hyaluronic acid and glycerin prevent moisture loss while 12-hour, time-released antioxidants A, C and E replenish vital skin nutrients. If you have sensitive skin, then you already know how difficult it is to find products that don't irritate, cause redness, or inflammation of your skin. The best moisturizer for sensitive skin will contain ingredients that soothe your skin and moisturize without causing inflammation. When you’re shopping for the best moisturizer for sensitive skin, try to avoid products that include parabens, other harsh preservatives, artificial colors, alcohol, and ingredients that give the product a heavy fragrance, as these ingredients usually cause irritation. 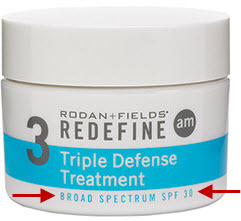 One of the best products on the market for sensitive skin is Rodan + Fields SOOTHE. SOOTHE shields against the biological and environmental aggressors and helps fortify your skin’s natural moisture barrier so that you can take comfort in having a healthy-looking complexion every day! Everyone’s skin type and skin requirements are different. I do have a skincare tool that can help you determine the best regimen and moisturizer for your skin. Try my skincare assessment tool - it only takes about 30 seconds to complete. Get a custom skincare recommendation from Dr. Katie Rodan and Dr. Kathy Fields ... no appointment necessary. As always for all your skincare needs pop by my Rodan + Fields website. Become a Preferred Customer today and receive 10% off and FREE Shipping. Products are available anywhere in North America. Coming soon to Australia!! I had been browsing about skincare |hair care thus i located your blog which is quite interesting. I really do hope it's ok along if I flag them in the Pinterest board. Thanks for writing!